Stay 2 or 3 nights with us and receive 15-20% off our Best Available Rate! 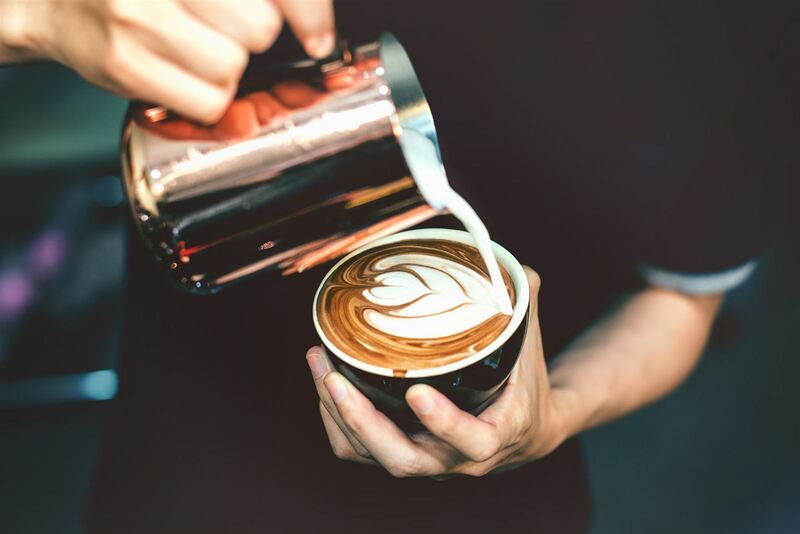 Our Hotel Lobby is currently undergoing renovations to make way for our new Coffee Bar. 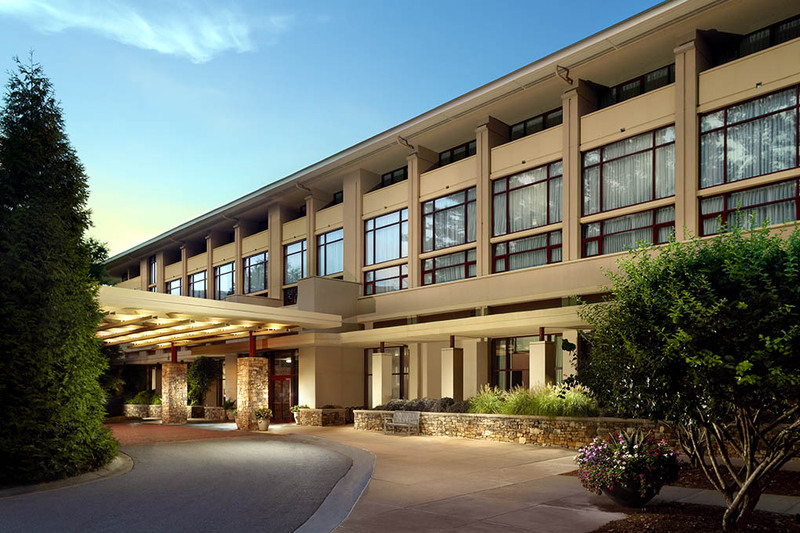 The Emory Conference Center Hotel is the ideal combination of a tranquil and convenient location, a visionary Frank Lloyd Wright design, and an unparalleled dedication to service. 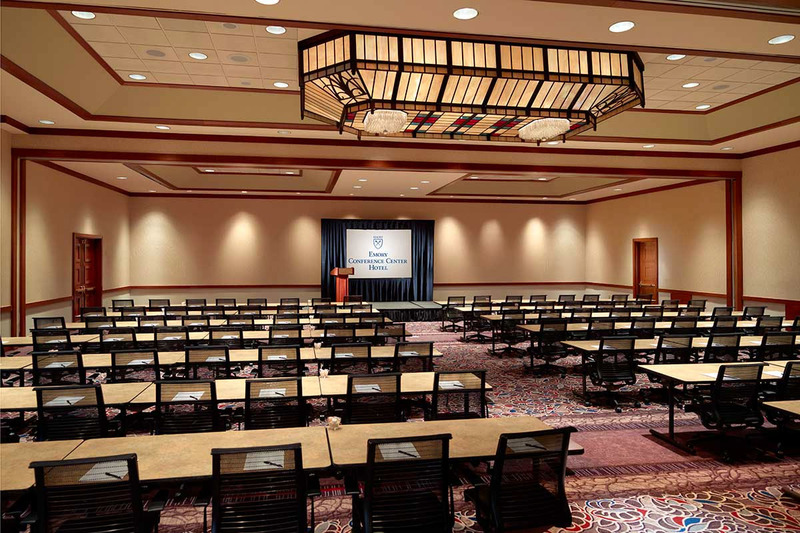 Nestled next to Hahn Woods, a peaceful 26-acre nature preserve, our hotel offers a winning formula for productive conferences, unforgettable weddings, and truly enjoyable leisure or business stays. If you are looking for a place to relax and recharge, look no further. 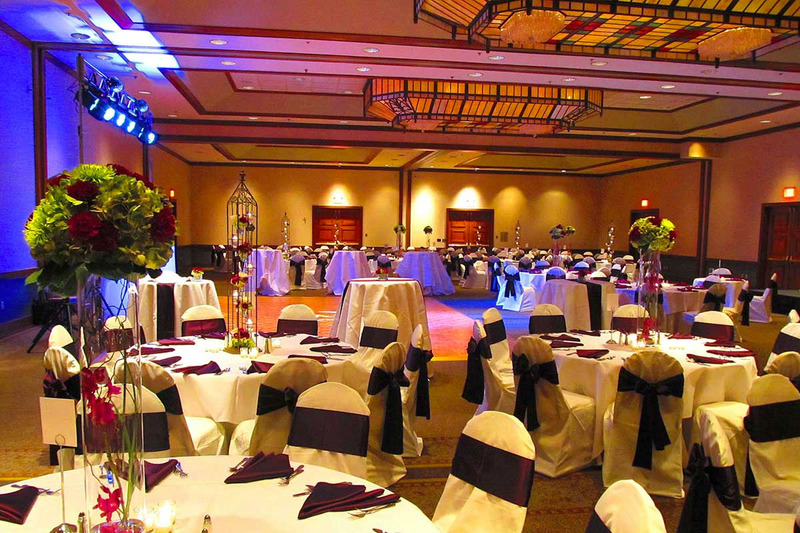 Make your next event or conference one to remember when you work with our professional event-planning team. Our seasoned team offers personalized service and is the single point of contact for your successful event. Make the most important day of your life unforgettable. We're here to make your wedding dreams come true. 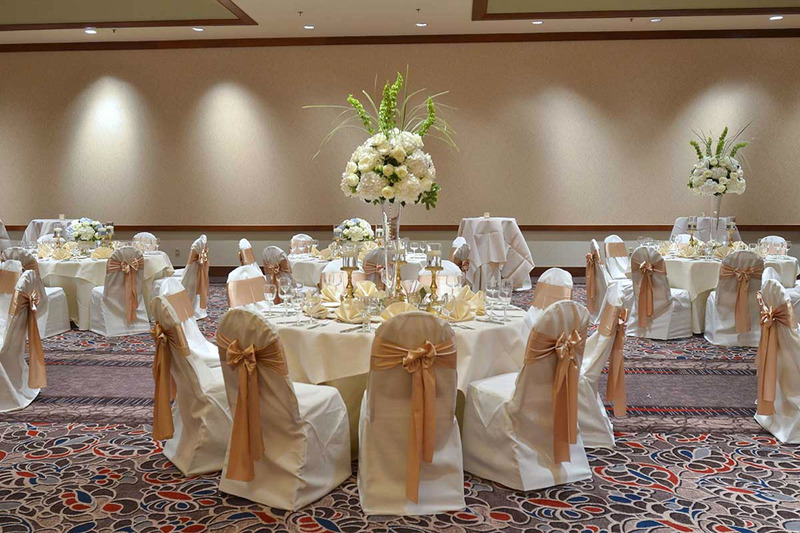 So whether you've set the date for a lovely outdoor ceremony in spring or plan for a winter wedding in December—no matter what the season, the Emory Conference Center Hotel is the perfect wedding venue in Atlanta to say "I do" to new beginnings. Each of our guestrooms features a comfortable pillow-top mattress to ensure you wake up feeling rested and refreshed. Choose from double, queen, or king beds designed with comfort in mind. Select rooms also feature large balconies with sweeping views of the Hahn Woods Nature Preserve. In-room dining, two restaurants, fitness center and indoor pool are the on-site amenities that are enhanced by our unique surroundings. Enjoy our Garden Courtyard, outdoor fire pit, nearby hiking and bike trails and lush natural settings. 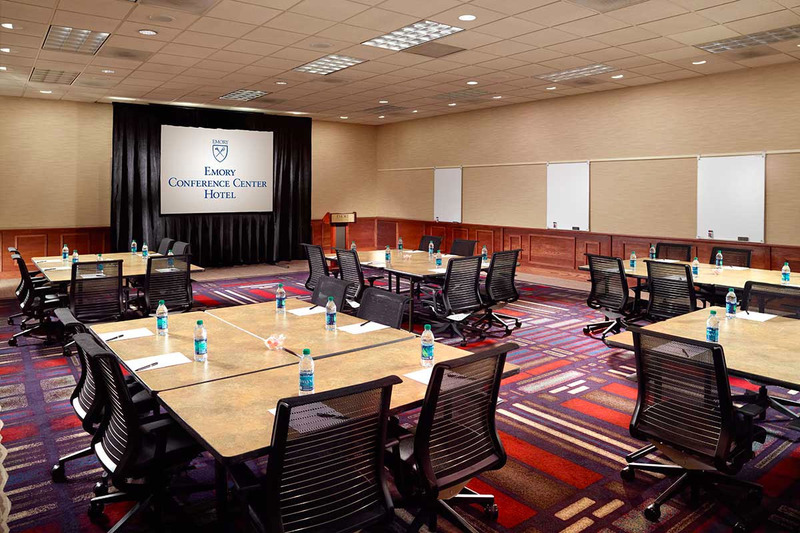 Our hotel offers an ideal location for both business travelers and vacationers looking to explore everything Atlanta has to offer. We are located just a short drive from Hartsfield International Airport, downtown Atlanta, and many popular local attractions.